Lying in the centre of Eastern Europe, the Republic of Hungary is surrounded by seven neighbours: Slovakia, Ukraine, Romania, Serbia, Croatia, Slovenia and Austria. The population of over 10 million is proud of their rich cultural heritage. Visitors are enthralled by the art, music, folk culture, medieval castles, churches and great natural beauty that the country offers. This was one of the cultural centres of Europe as far back as the Renaissance in the 15th century. But the country’s history goes back even further than this, and there has been a Hungarian state for a thousand years. A number of nations have ruled over Hungary since the earliest times, first the Magyars and Turks, and later the Austrians and Germans, and then the Soviets as World War II ended. In 1956, an anti-Communist revolution broke out in Budapest which led to Hungary becoming an independent state, and the most liberal of the communist states. 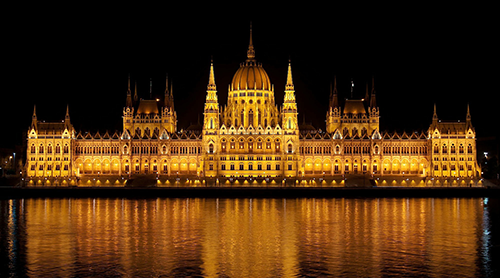 Hungary returned to a non-communist government in 1989 and its people are credited with helping accelerate the process of other countries joining them in democracy. The Pan European Picnic or Páneurópai Piknik in 1989 was a catalyst in the fall of the iron curtain where a border gate was opened for three hours and Hungarian border guards even assisted East Germans to cross into Austria and onto freedom. Hungary has been part of the European Union since May 2004. The transition from state-run to private business was relatively smooth, compared to other former communist countries. Within four years of the collapse of communism in 1989, nearly half of the country’s economic enterprises had been transferred to the private sector, and by 1998, Hungary was attracting almost half of all foreign direct investment in its region. However, a high level of both private and state borrowing left the country particularly vulnerable to the credit crunch of 2008. The government was forced to appeal to international financial institutions, such as the International Monetary Fund and the World Bank, for huge loans in a bid to stave off economic collapse. The economy remained in a downturn during 2009. However, the government implemented a number of changes which included tax cuts, and imposed “crisis taxes” on financial institutions, energy and telecom companies and retailers. The future looked brighter in 2010 with a growth in imports, particularly from other countries in Europe. Bilateral trade between Hungary and the United States is more than US$1 billion per year. The largest exports to the US and other EU countries are cars, computers and telecommunication equipment. Major imports include machinery and equipment, partly manufactured items and fuels and electricity. Most of these imports are from within the EU, but also include Russia and China. 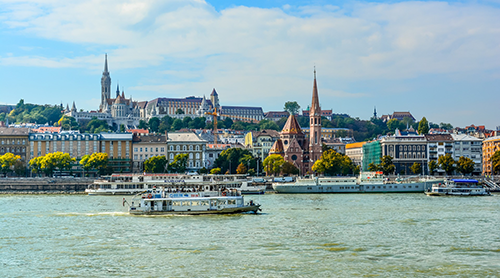 Visit our AGS Hungary branch page for more details on removals to or from Budapest.